Slow Going: Do You Have Cake on Your Name Day? Do you know any saints? Most people have at least heard of St. Patrick, St. Francis and St. Peter. Do you celebrate the feast days of any saints? The Church gives us a wealth of feasts to help us follow Our Lord more faithfully - and enjoy doing it. Americans are keen on observing St. Patrick's Day - as an Irish heritage celebration for Catholics, Protestants and Secularists alike. A taste for green beer or corned beef and cabbage seems the only qualification. 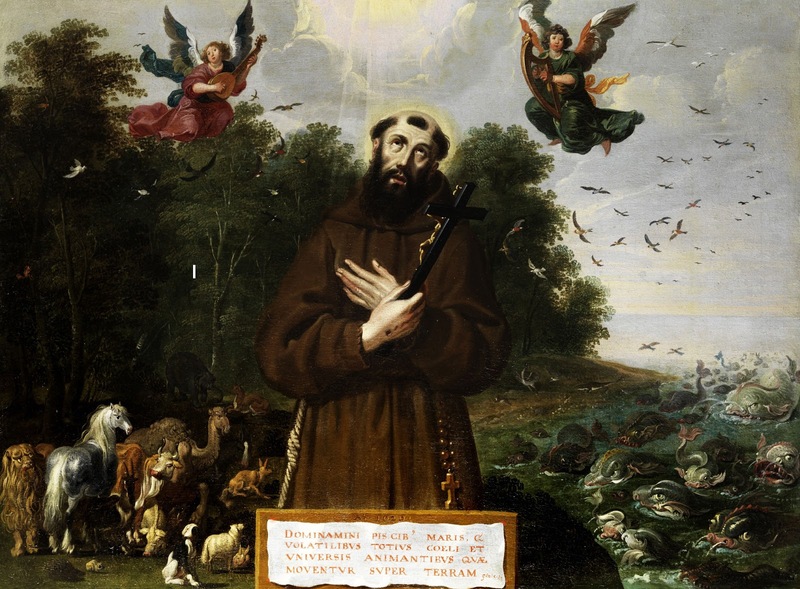 St. Francis is the go-to protector of animals and outdoor things for nature lovers. St. Peter stands at the pearly gates in many a heavenly joke. Even St. Valentine is celebrated with chocolates and roses every February. But many have forgotten the saint at the center of the feast since even his sanctified credential has been dropped from the day's name as it's now just called Valentine's Day. But, did you know there are many, many more saints to celebrate throughout the year? The average Catholic is also familiar with St. Anthony for helping find lost objects. St. Joan of Arc is a figure commonly known on account of leading France's army to victory. People associate St. George with slaying a dragon. St. Joseph is the foster father of Jesus and husband of Mary, but he'll also help you sell your house. Most Catholics have a few other favorite saints, too. But wait! There's more! Heaven is filled with friends and helpers that the Church gives us as examples of heroicaly loving God and living an abundant life. Each day of the year there is at least one saint commemorated. How can we take advantage of this wealth of holy friendships? Allow me to acquaint you with more of your heavenly brethren. If you feel you are a stranger among the great cloud of witnesses that is the mystical body of Christ, you need to get to know a few more saints. Whenever I have read about saints I feel as though they have become my friends. Pick up a book about various saints or about one in particular. Often you will get a very engaging biography from books geared toward young readers. As you gain more interest in certain saints, you may wish to move on to a full length biography and their own writings. Mary Fabyan Wyndeatt has written many books on the lives of various saints that are perfect for reading to young children, for independent reading by older children and even for the enjoyment of adults. These and many others can be found at the Tan Books website. By attending weekday Mass regularly or periodically, you can hear of the saint celebrated on that day. There is a special Mass for many of them! This is not only a great way to learn about different saints, but the best way to celebrate their feast days as well. In the Mass you join in the heavenly banquet where these saints are feasting at the very same table! You can find out about their feast days even before you get to Mass. Friends of mine like these apps for a calendar of saints' feasts: Saint A Day and Laudate. If you prefer a more hands on tool, you may like Magnificat magazine. It contains the readings for daily masses as well as meditations and other prayers. Celebrate the name days in your family. Do you know when your name day is? First figure out who your patron saint is if you don't already know. What is your name (first and middle)? A great many names have more than one saint to choose from as patron. Ask your parents which saint they had in mind when they named you. If they are not available to ask, learn about a few of the saints with your name (or a variation of it) and select the one you most feel drawn to. In Christian cultures, a person's first name used to be referred to as their "Christian name" because it was the name given them at their baptism, when they became a Christian. It was always the name of a saint, but this practice is not always followed these days. If you have a name for which there is not yet a patron, you could find a saint with a similar name. Be sure to become a saint yourself, so there will be a saint with your name for future generations! If you have received the Sacrament of Confirmation, you selected a saint whose name you took as your own, so this saint is also your name saint. With a quick Google search you can learn the feast day of your patron saint. This is your name day - a day you can celebrate! Find out the Name Days of all your family members and god children and celebrate these feasts with special prayers and treats! 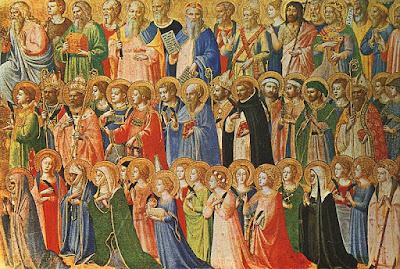 One website where you can look up your saints with your name is Catholic.org. In addition to your name saint, you can tap into saints' feasts that are specially celebrated where you live. Many countries and cultures have a devotion to certain saints that are observed with traditional practices. If you are part of an Italian community, you probably already have a feast for St. Joseph's Day (March 19). Each country has a patron saint. Wales has St. David, Scotland has St. Andrew, Russia has St. Nicholas and Peru has St. Rose of Lima. Some countries' patron saints were natives of that land (like St. Charles Lwanga of Uganda and St. Catherine of Siena), while some are known for bringing the Christian Faith to the place (St. Peter Chanel to Oceana and St. Patrick to Ireland). Learn who is patron to your people and add them to your domestic liturgical celebrations. Did you know there are saints for nearly every occasion? Either from what they did in life or miracles wrought through their intercession after their death, saints have developed reputations for specializing in certain cases. Do you need a saint to pray with you for safe travels? Look up "Patron saint for travelers" in a search engine. Not only will the old standby, St. Christopher, come up, so will St. Bridget of Ireland and St. Joseph of Cupertino. You can then read why. Do you work as a nurse, a lawyer, a mother, a student or any other kind of job? There's a patron saint for that! St. Agatha of Sicily, St. Thomas More, St. Anne and St. Thomas Aquinas, respectively, are just some of those who specialize in these jobs. By now you see how easy it is to add to your circle of heavenly friends. Next, see how you might celebrate your relationship with them! Of course you can ask their prayers regularly and attend Mass on their feast days. You might want to ask the intercession of a saint by praying a Novena that will end on their feast day. Look into whether there are any traditional practices associated with your favorite saints. On St. Lucy's day (December 13), for example, it is a Swedish custom for the eldest daughter in the family to don a white dress and, wearing a wreath of candles on her head, serve an early breakfast to the family. In Hungary, on her feast, wheat is planted in pots to put near the nativity scene. Make a pilgrimage to a local (or distant) shrine dedicated to a saint. Here is just one website you can use to find shrines in your state: Catholic Shrines USA. There are many others, too. For the Name Day of someone in your family, treat it like a second birthday; have cake! Be sure to also remember the Name Day of your godchildren and those you have sponsored for Confirmation! Invite over some Catholic friends (especially if they share the same patron saint) give a gift relating to the saint - a book, holy card, religious medal. Best of all, have a Mass said for their intentions. Get to know your friends the saints and liven up both your faith and your year with the many feasts you will bring into your family. The Church gives us so many to celebrate and to celebrate with!